WATCH: Jimmy Fallon Spoofs Russell Brand, It’s Priceless! Oh how I love thee Jimmy Fallon. You are too funny for real words. Last night was no exception either. 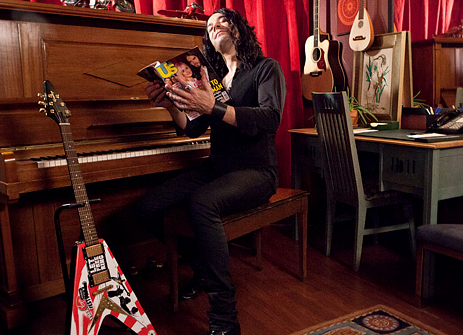 Jimmy did a hilarious spoof of Russell Brand, reading Us Weekly with a cover on the big ‘ole divorce from Katy Perry. You just gotta love it…..